Indonesia passed a new law Friday that will give police more power to take pre-emptive action against terror suspects following the country’s deadliest Islamist attacks in years. The bill had been stalled for almost two years as parliament wrangled over key details, including how to define terrorism. But a wave of deadly suicide bombings on churches and a police station this month — claimed by the Islamic State group — heaped pressure on lawmakers to pass the legislation. President Joko Widodo threatened to issue an emergency regulation if parliament failed to pass the beefed-up law. Police will now be allowed to detain terror suspects for as long as 21 days, up from the current one week, and they will also be able to charge people for joining or recruiting for a “terrorist” organisation, at home or abroad. Hundreds of Indonesians flocked to Syria and Iraq in recent years to fight alongside IS and many have since returned, but police had previously been powerless to arrest them. The revamped law also carries tougher jail terms and opens the door to the military playing a bigger role in Indonesia’s counter-terrorism efforts. But the military’s patchy rights record has raised concerns among activists who said the bill’s vague wording could lead to a crackdown on any group seen as a threat. Jakarta should instead focus on improving programmes to deradicalise militants, said Andreas Harsono, Indonesia researcher for Human Rights Watch. Open discrimination against minorities — including Christians, the ethnic Chinese population and LGBT community — were emboldening Islamist radicals in the world’s biggest Muslim majority country, Harsono added. 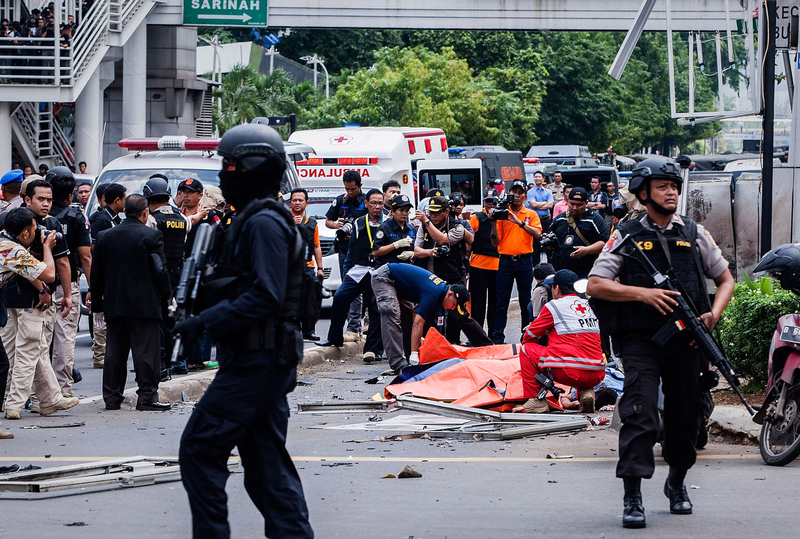 The suicide attacks in Indonesia’s second-biggest city Surabaya, which killed 13, were committed by two families, including a nine and 12-year-old girl. The families were part of the same religious study group and had ties to an extremist network allied to Islamic State. Indonesia — which is set to host the Asian Games in three months and an IMF-World Bank meeting in Bali in October — has long struggled with Islamist militancy. Security forces arrested hundreds of militants during a sustained crackdown since the 2002 Bali bombing, which killed more than 200 people, mostly foreign tourists. Most attacks in recent years have been limited to low-level operations against security forces, but police said they needed beefed-up terror laws to crack down on homegrown militancy. Identity Politics in Afghanistan: Nation-State or State-Nation?